The Crossroads : High Priestess or Empress? From : “High-Water Mark”, by Hunter S. Thompson, Las Vegas, 1976 ; in, “Songs of the Doomed, The Gonzo Papers vol. 3”, Summit Books (USA), 1990 ; Picador (UK), 1991. This is the story of a self-start, Golden Dawn-inspired working Lodge, based in the North of England and Cambridge, created in 1968 after some initial experimentation, and which went into hibernation in 1977 on its 'high-water mark', with the wide dispersion of its members. The egregore is, however, very much in existence, as was testified by isolated working in 1982-1983 and again quite recently. The story will have to be told mainly from memory, as much valuable primary and secondary source material (including the Register) was lost along with the rest of the my first library in 1977. First names have been changed as some members might be recognisable from the context. In 1967, a group of teenagers (16-19 year-olds) got into the habit of hanging out in a run-down, low-rent terraced house due for demolition, near the centre of a North of England industrial town. Amongst them were five people attracted to different aspects of, shall we say, 'alternative' culture–John, astrologer and into divination by pendulum and Tarot (traditional pack) ; Dave, artist and musician ; Stuart, attracted by Northern mythology (and altogether resembling a figure from it!) ; Anne-Marie, a pre-Raphäelite elf-queen, skilful in the creation and use of amulets and talismans; and myself, an historian. John encouraged a group interest in the Tarot ; following up this subject came references to A.E. Waite (although he gets a “bad press” today, and his Tarot design does not appeal to everyone, he was the “gateway” to the Western Mystery Tradition for many in that era). From there, and by patronising the “head shops” that were then beginning to flourish, the available literature on the Golden Dawn was procured (see 'period bibliography', below). Discussion followed ; tarots were read, ritual studied, aims and objectives ironed out. The 'quest' side of things was never brought up much (North of England folk don't speak much about spirituality), and the prevailing 'counter-culture' ethos of the wider group always implicitly assumed that you knew where you were going, and why….. It was decided to create, independently, a Lodge (though in our minds this would also represent an incipient Order), using the Golden Dawn system (though no literature was then readily available for the Second Order, let alone the Third), but incorporating the group's own special interests. There was no formal designation of authorities or hierarchy ; each personality seemed to find his or her role naturally. Thus, John would assume the chief role in conducting ritual, with an arresting voice and presence and a flashing look from behind a great aquiline nose, which just compelled obedience (this would come in useful later) Most of the texts and references were from myself ; Dave painted some great archangelic and elemental station boards ; Anne-Marie produced the weapons, altar furniture, and other trinketry ; Stuart put in wise comment, and provided many ingredients for the post-working feast. It was decided to adhere to classical path-working, in the proper order, as the framework for meets, with a particular piece of working drawn from the group's special interests as the centre-piece. The first meet was a tragi-comedy (as is usually the case in a new enterprise). Held in an old wood unfortunately far too close to new suburbs, it was interrupted just as it was beginning to wind down. It had been quite spectacular–fires at the cardinal points from woodpiles prepared earlier in the day, a fine wooden trunk (which contained all the effects for transport) as an altar, everyone in appropriately-coloured cloaks. The group had approached the site like thieves in the night, creeping through long grass in point formation, with the trunk-porters in the middle. Installation had been well-prepared and everything flowed, the energy was there, the fires burnt bright. After the Lesser Banishing Ritual of the Pentagram, we opened in Malkuth and proceeded to the first business, which was the Announcement of the Lodge's creation. One question that had had to be resolved was, to Whom should we address ourselves? We had no enthusiasm for addressing the particular Superiors of the G.D….. nor any other specific 'transmission' that we had come across. After examination of our various inspirations, we agreed that the heritage of the Knights Templar fitted our bill, in a very broad sense (and to be oh! so confirmed subsequently…). So the Announcement was couched in the style of a demand for 'adhesion', as from a group of 'volunteers'….. This seemed to go down well ; we didn't get any actual 'face-to-face' that time, but somehow, serried ranks of 'companions' were there, it fitted, and the trees around bent lower….. and I had this sudden inspiration that our main talisman would be on that plane, a Sword in the Stone that any member of the Lodge could unsheath and use as a focus of the Flame. That for the future. We also agreed on a particular focus for our endeavour that would be Celtic in origin, and which gave us our title of B.B.B. We ascended to Yesod. The object was to consecrate a brooch of Anne-Marie's manufacture for the altar. This done, and appropriate thanks offered, we descended. My attention was briefly distracted during the Thanksgiving by some small crackling of twigs beyond the light, but though I had registered the fact (and was the only one to do so, we established later - instinctive Guardian role! ), I was too engrossed to react. As we descended to Malkuth, two yellow eyes swept over the field beyond, lower than the wood. Slowly I - we, this time, except John - realised it was a vehicle. It stopped quite near and, suddenly galvanised, some of us gathered up the impedimenta, whilst others put out the fires - but though John hurriedly managed to thank & dismiss “All present”, things weren't quite in order…. Sweeping out of the wood commando-style and back to the 'home centre' (John's parents' house). We went over everything. This set our practice: immediate recall of all impressions, hitches, unforeseen events, noted by myself as Scribe, accompanied by tarot readings, before unwinding and making merry - which we proceeded to do, with gusto and appetite. So, what had we learnt? Well, first, that you can't perform Ceremonial Magic just anywhere, and that we had certainly managed to 'put ourselves on the map'– that as a team we were 'nickel-chrome'. We knew what had to be done next: create that Sword, continue to work on the 'Templar' theme, and build up our particular furnishings. Ah yes, where was that brooch? After vainly hunting around, we came to the conclusion that it had been left in the wood! So we would go back on the morrow…. A scene of desolation greeted us. The ground had been cleared of any trace of our fires or presence, just a scoured area….and of course, no trace of the brooch. We never saw it again….nor would it show to pendulum-divining or skrying or any technique we ever employed. The second meet was a complete opposite in decor; it was held in John's sister's Ladies' Hairdressing Parlour. No more woodland excursions for the moment, and what may seem an incongruous setting had no effect whatsoever. The objective was to energise the Sword, take it to Yesod, and set up the Lodge there. Excursions to Hod and Netzach were also programmed. Well, all this went fine, after we had first dealt with the unexpected - the woodland came to us! As we opened in Malkuth, our woodland setting of the first meet sprang up around us, and seemed not to be in a friendly mood! Some hurried placating, thanksgiving, and re-run of the 'end' of that meet had to be organised, before the trees receded, and we could get to business…. Our discussions about the Sword had placed it in a Celtic Four Weapons scenario, where we ourselves were the Disc (symbolising the World, as in “what is below is like unto what is above”), the Cup would be always unattainable (symbolising the Quest), and the Lance would be something to be explored in the Second Order. So the Sword would represent our First Order workings. With this in mind it would reside in Yesod, planted in the centre of the Lodge, which we saw as a kind of Gothic lay chapel, long rather than wide, with banks of tiered benches on either side, and obscurity at the farther end until the Second Order was reached. Each time we entered, companion groups (Templars, grey-robed and hooded) were installed on the benches. This programme accomplished, the paths to Hod and to Netzach trodden, the Sword was sheathed - it was seen as being drawn in Yesod, rearing and turning to point upwards for the duration of the working, energy flowing from the tip. This was (is!) a mighty find– the gestures involved, performed in unison, the influx of power…. Suffice to say that this very practical working firmly established our domain, gestures, procedure and roles. A period of change set in. I was beginning to meet up with kindred spirits at Cambridge, spend most of my income on important literature at the famous King Street 'head shop', and, significantly, Stuart emigrated to Canada. We spent much time on our various businesses, meeting up only during Vacation. Everyone acquired the Great Beast's Tarot deck. The larger group found better quarters (at a higher rent! ), out of the demolition area. By the time Summer Solstice 1970 came, we had our replacement (from Cambridge) : Patrick, Egyptologist, fluent in hieroglyphic pronouncement and ritual-maker (principal source : The Egyptian Book of the Dead). I had also been working on the Rig-Veda, and the Elder Prose Edda. These three venerable source works would form the basis of our rituals until the very last phase. It was time to open the Second Order. During this same period, however, I had been attracted to the 'world-view' that would be progressively exposed in the 'Don Juan' works by Carlos Castaneda. At that moment, only the first two books of the series had been published: 'The Teachings of Don Juan', and 'A Separate Reality'. Appearing little more than a curiosity at first, as the Don Juan story unfolded (and despite irritation with the author's apparent obtuseness), especially after the publication of the third volume ('Tales of Power'), I began to adhere to the notion of 'the warrior's path' and to foresee the relinquishing of hermetic practice until that path had been trod. This would coincide with the physical dispersal of the Lodge in 1977, and reach a height with the publication of 'The Eagle's Gift' in 1981. This was an early 70s 'long hot summer', and an isolated cottage in the Fen outside of Cambridge was the backdrop. The opening of the Second Order was, after all, a fairly solemn affair, and much preparatory work had flown backwards and forwards in the weeks preceding. We had decided to re-run the whole First Order path-workings first, before ascending to Tiphareth, where we had prepared a rite drawn from Egyptian sources. Beyond that, it was obvious that here was a whole new ball-game, and we were ready for anything. Individual research had also turned up some interesting pointers. John and I had been working on geographical divination; John worked the pendulum, transmitted his impressions, and I translated or equated them into geographical and/or historical hypotheses. Dave had been researching iconography, and had discovered William Blake ; his style was to be heavily influenced by Blake's spiritual representation. Anne-Marie was getting more and more drawn into Elfland, as if she really were moving into another world (which she was.) I had been working on Celtic themes around our central 'totem' figure, decrypting remnants of ritual preserved in early medieval Old Irish and Welsh documents, and notably elements going towards the reconstitution of the Grail working. Here is not the place to go into a detailed account of this, but the central element is the Healing of the Fisher King, accomplished by the asking of an unanswerable Question, and accompanied by a ritual procession of the Weapons, culminating in the Marriage of the Lance and the Cup. This seemed to me to be the nexus of the Second Order's working. The striking features of our path into Tiphareth were, firstly, the empty Lodge (where previously it had always been rustling with the 'companions') as if in vigil ; and the 'contact' made, once there. Patrick had composed a text centring on Râ, Who is beyond the Sun, and His Daughter, whom we equated with Brigit : the Celtic Fire-Goddess, in the heart of the Stone, and who later became Bridget of Kildare, patron of Candlemas. Her chapels are sprinkled like confetti along the drove roads from Brittany to Italy and beyond. And She is the patron of the Brigantes, which was particularly appropriate for Northern England, as this was where the main part of this Celtic tribe was settled (elsewhere, in South-East Ireland, in North-West Spain, in the French and Austrian Alps). Furthermore, as Fire, She is also the Lance….. So, this contact made, we had reached a plateau in our progression. What was to be the working which would implement the Healing of the Fisher King…..? In 1973 we moved to South-West Wales, to a huge run-down 19th century Poor House. I had always been fascinated with the Finis Terrae of South-West Ireland, South-West Wales, Cornwall, Brittany and Galicia, spread out like the rim of a sunken plate. The sea between them, nowadays called 'The Celtic Sea', was associated with the myth of Atlantis, and brought the warm Gulf Stream to those shores. It was there that John informed me of a vision of a precise landscape, somewhere around that rim, where we would find the Lance of Lugh, the Son of the Sun of Irish legend. Our pendulum-and-map technique was immediately brought into play, tarot to hand, and quickly we found the spot: somewhere in one of the five peninsulas spread like a hand from the body of Ireland. John drew a picture of the exact landscape of this spot. I set out with Dave to go and find it. It was a strange journey : someone we had met in Wales wanted to come, and we had immense difficulty in dissuading him. On the way we ran into two Germans who clung to us like leeches, and we stayed with some acquaintances who tried to magically influence us. But eventually we came to the exact spot, just as in John's drawing, right down to the very details of the emplacement. After a brief meditation and breaking of bread, we turned back east, into the gathering night. The group separated like sparks from a Guy Fawkes' rocket. Some random destinations: a titled 'horsey' marriage, Tibetan Buddhism, farming, book-binding…. I took up the 'Road to Ixtlan' - ”a warrior has nothing in the world except his Impeccability, and impeccability cannot be threatened”. In 1983, for a special purpose, using a Scottish clan ceremonial, I pulled up the Sword once more. The Lodge was there, as were the 'companions'….and the Grand Master!….. as were the paths, as was the Fire. As was Brigit, Daughter of Râ. She is there now, and 17 years have passed. The first works on which we were able to get our hands were nearly all from the “Aquarius Press” stable, and though not up to modern standards of research, were able to transmit to us the essential practical aspects of G.D. working. Butler's works in particular, today don't get the attention they deserve, especially the first. Fortune, Dion, Applied Magic; The Esoteric Orders and their Work; Practical Occultism in Daily Life; all Aquarius Press, again. Regardie, Dr. Israel, The Golden Dawn, an encyclopedia of practical occultism, Llewellyn Press, St. Paul (Minn.), 1970. Uncle Al's Confessions (Kenneth Grant, ed., Cape, London, 1969) appeared at just the right time ; as did Israel Regardie's study of him, The Eye in the Triangle, Llewellyn Press, 1970. 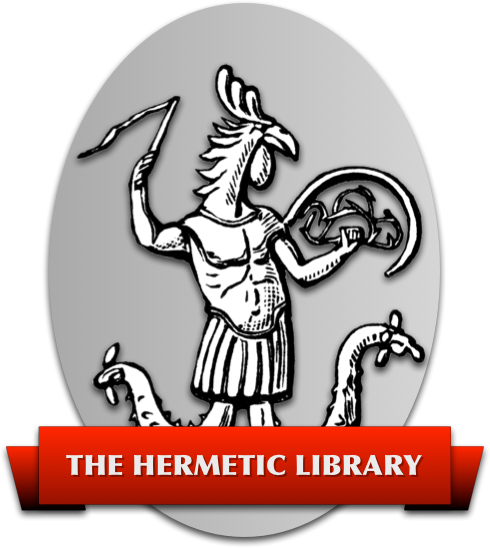 The 'head shop' also provided The Great Beast's Tarot deck, Thoth Tarot Cards, “designed by Aleister Crowley, artist executant Frieda Harris”, under the seal of the O.T.O., from Samuel Weiser, 734 Broadway, NY 10003; and his seminal (no pun!) works : The Book of Thoth, idem, 1970 ; Magick in Theory and Practice…. ; and, finally (and most expensively, for an impecunious university student from the North), the sublime 777…………… . Cambridge University Library, as a 'copyright' library, holds (unless someone has nicked them since) a complete original set of 'Equinox'. I worked my way through these (instead of studying Latin charters from the English Civil War of the 12th century), and noted feverishly the first practical indications of Enochian working…. King, Francis, Ritual Magic and Secret Societies, Spearman, London, 1970. These acquisitions all disappeared with my library in 1977, except The Book of Thoth, and my set of the cards, suitably dog-eared and 'handled', which I have to hand as I write……. In fact, and not without malice, this last list makes up a handy introductory bibliography (up to the '80s, and without giving too much away) for my projected articles for forthcoming issues……which include subjects like the relations between the G.D., the R.R. & A.C., the A.A., the O.T.O., and others, and the secret societies which flourished in Central, Northern, and Eastern Europe from the late 19th century, often inspired by the Myth of Agarttha, and which played a prominent role in history (and in History) up to the Gotterdämmerung of 1945…and….later? Or, the origins, development, and contemporary existence, of 'Egyptian' Masonry, notably in Continental Europe and the Americas, derived from Cagliostro and Yarker, Chefdebien and the Strict Observance, Willermoz and Peladan, continued by the French Rosicrucians - contemporaries, and 'enemies', of Mathers ; and finally, after having found itself also opposed to the first subject's adepts, flourishes today as Memphis & Misraïm…..
 'The Eagle's Gift', Carlos Castaneda, Penguin Books, 1982, p108.